Almost 1,000 students from the University of Hawaiʻi’s seven community colleges have been awarded Hawaiʻi Promise scholarships for the 2017 fall semester. This represents about 4 percent of the 23,000 students currently enrolled at UH Community Colleges. The scholarships are designed to remove all cost barriers to attending UH Community Colleges, which have already been recognized among the most affordable two-year public institutions in the nation. An estimated $1.4 million in Hawaiʻi Promise scholarships has been awarded, and the average scholarship per student is $1,416. Hawaiʻi Promise provides aid for any financial needs not met by other forms of financial aid, such as federal grants and benefits and scholarships from UH or other sources. Its goal is to provide free in-state tuition for qualified UH Community College students and covers tuition, fees, books, supplies and transportation. The governor and the legislature recognized the importance of this program and the need for those last dollars to make it possible for qualified students to go to college. UH Vice President John Morton credits Gov. David Ige and the state legislature, which appropriated $1.8 million during the 2017 session for each year of the fiscal biennium 2018 and 2019 through the state budget bill. Morton also noted that the UH Board of Regents first supported and approved the proposal for the Hawaiʻi Promise scholarship program in 2016. It was part of Gov. Ige’s executive package, and both houses introduced Hawaiʻi Promise bills in 2017. There are a number of steps for students to qualify for a Hawaiʻi Promise scholarship. First, a student must apply for federal financial aid, by filling out the Free Application for Federal Student Aid (FAFSA). The federal government calculates the Expected Family Contribution, or what the student’s family can afford to pay. Twenty-five per cent of the expected family contribution is applied to direct costs of attending college—tuition, fees, books supplies and local transportation. The balance of the family contribution is applied to room board and personal expenses. If eligible, a student may then be awarded Pell grant and Supplemental Education Opportunity grant money. A student may also be awarded various UH and UH Foundation scholarships and/or scholarships from other sources. If all these grants and award reviews are completed and the student still has unmet need for direct costs, such as tuition, fees and books, the student receives a Hawaiʻi Promise scholarship to cover any unmet direct costs. 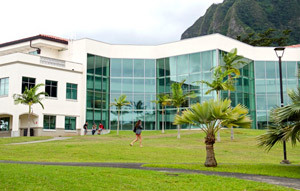 Hawaiʻi Promise has already caught the eye of the College Promise Campaign, a nonpartisan, nonprofit higher-education initiative to build widespread support for funding the first two years of a community college education. The campaign is chaired by Jill Biden and former Wyoming Gov. Jim Geringer. UH Community Colleges are encouraging even more students to enroll and apply for the Hawaiʻi Promise scholarships for the spring semester. 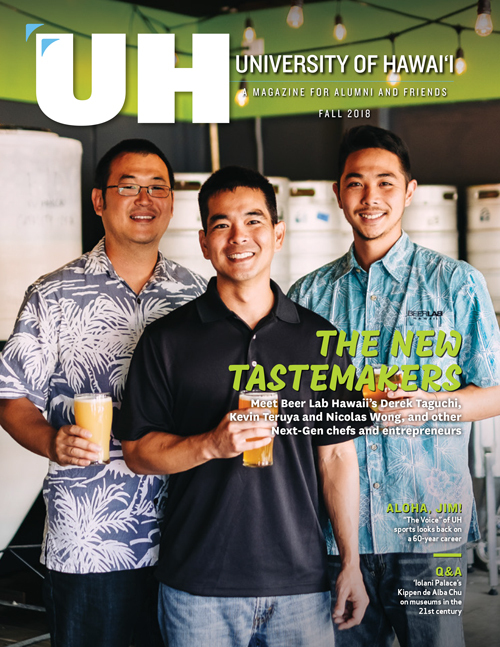 “Even though we are already among the most affordable two-year public higher education institutions in the nation, we want to make sure we meet the needs of every Hawaiʻi citizen who has a desire to better their life through higher education,” said Morton. To apply for a Hawaiʻi Promise scholarship, contact the UH System Financial Office at (808) 956-8753 or uhsfao@hawaii.edu.